After being leaked, teased, and leaked again, Diablo 3: Eternal Collection for Nintendo Switch is set for a November 2 release date with a download size of 13.3GB. First out on Windows PC and macOS in 2012, Blizzard's role-playing game steadily made its way to consoles with Diablo 3 for PS3, Xbox 360, PS4, and Xbox One over the years. With Diablo 3: Eternal Collection hitting the Nintendo Switch, it makes it the first time a Blizzard game has come to a Nintendo console since 2003. Is Diablo 3: Eternal on the Nintendo Switch worth the wait? We spent some quality time with it to find out. Diablo 3: Eternal Collection for Nintendo Switch includes the base Diablo 3 game, its expansion Reaper of Souls, as well as the Rise of the Necromancer pack. Set in a world under siege by angels and demons alike, you don the role of an adventurer on a quest to save humanity. And while the storytelling is relatively straightforward, Diablo 3 on the Nintendo Switch brings the same level of polish and detail to its moment to moment gameplay that made other versions of the game incredibly entertaining. From dodging enemies with the flick of the analogue stick to chaining together a flurry of attacks, the controls in Diablo 3: Eternal Collection for Nintendo Switch are extremely responsive. Like past entries, you'll choose from a host of character classes such as the Barbarian, Demon Hunter, Monk, Crusader, Wizard, Witch Doctor, and Necromancer. 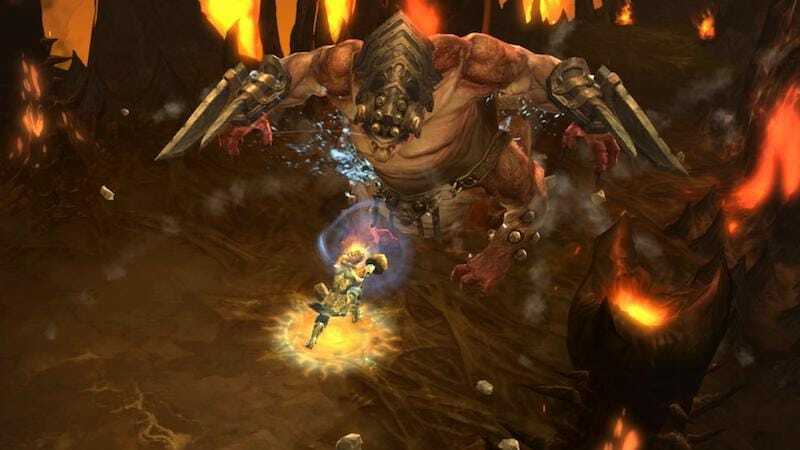 Be it exploding corpses as the Necromancer to summoning a shower of poisonous toads as the Witch Doctor, each and every character class in Diablo 3: Eternal Collection for Nintendo Switch is faithfully recreated with nothing amiss. This extends to its performance as well. Regardless of playing it on a big screen in docked mode or using the Nintendo Switch's handheld mode, even in busy moments with hordes of undead on screen and tons of effects, Diablo 3: Eternal Collection for Nintendo Switch didn't skip a beat. Even taking it online to play with friends or even in local cooperative play on a single Nintendo Switch, there was no lag or slow down to impede the experience, making it a near perfect port. Despite getting a lot right, there are some issues that prevent Diablo 3: Eternal Collection from being perfect. For one, it has inconsistencies in input. Sometimes you need to confirm in-game decisions, menus, and options with the B button, but at other times you need to press the A button. It's a minor annoyance that wears on as you keep playing as you can't rely on your muscle memory, forcing you to pay attention to what button the game wants you to use to confirm things. And while this can be rectified with a patch, there are other concerns. You can't use the Nintendo Switch touchscreen to control anything in-game. Granted the controls via Joy-Con or Nintendo Switch Pro Controller are excellent, but the lack of touchscreen support that could have augmented gameplay is a glaring omission. Instead of perusing through menus to decide what items or gear to equip, it could be made more intuitive with drag and drop touchscreen support. Other notable misses include the lack of native voice chat. Sure, the Nintendo Switch's lack of a proper voice chat solution are well documented but others like Epic Games with Fortnite have found ways around it. Given that Blizzard isn't a struggling two-person indie studio and that Diablo 3 is still popular with regular support six years into its launch, the absence of a proper, native voice chat solution is perplexing. Nonetheless, these omissions melt away thanks to how competent this port is. The frame rate appeared smooth and the visuals in both docked and handheld mode never made us wish we were playing it on a more powerful machines like the PS4 Pro, Xbox One X, or a PC. In some ways it even supersedes these versions of the game. The PS4 and Xbox One variants were rife with matchmaking issues when playing with friends that exist to this day, and Diablo 3 on PC is an always online affair. Neither of these are issues for Diablo 3 on the Nintendo Switch. The fact that you can play Diablo 3 on the go thanks to the Nintendo Switch's portability gives it another plus point. More so when you factor in the game's pacing is suited to short sessions of play with smaller quest lines and simplified controls compared to other RPGs. All of this makes it one of the best, if not the best way to play Diablo 3. If you've already played Diablo 3 or plan to jump in for the first time, Diablo 3: Eternal Collection for the Nintendo Switch is well worth considering despite minor niggles. It's a polished, entertaining port of a well-worn classic. Gadgets 360 played a review copy of Diablo 3: Eternal Collection on the Nintendo Switch. The game is out on November 2 priced at Rs. 4,000 ($60 in the US). product Diablo 3: Eternal Collection for Nintendo Switch release is November 2 with a 13.3GB download size, is it worth it? Find out in our Diablo 3 Nintendo Switch review. 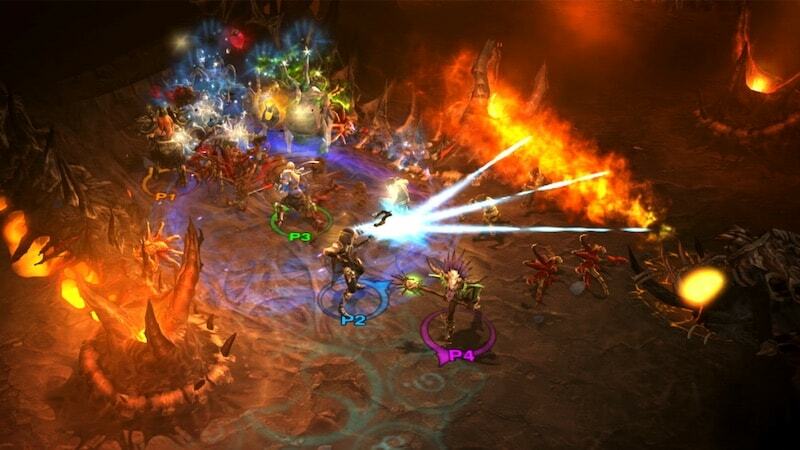 Is Diablo 3 Coming to Android and iOS?